This section of the site contains a list of tutorial movies. These are intended to accompany the book and show how some of the techniques discussed can be carried out. You'll see here a selection of movies about Photoshop CC as well assome that were previously recorded to accompany the CS6 and CS5 books. Just click on one of the links or the movie image preview to play. Note that full size and small-size versions are available to view here. NOTE: There is a known issue where the Safari web browser on a Mac is unable to play these movies. We recommend you use Firefox instead to view this section of the site. Some Windows users have reported difficulties accessing movies. Please make sure you have Quicktime installed. If you are still having problems accessing the movies below you can also view all these latest recorded Photoshop CS6 movies via the Youtube website. 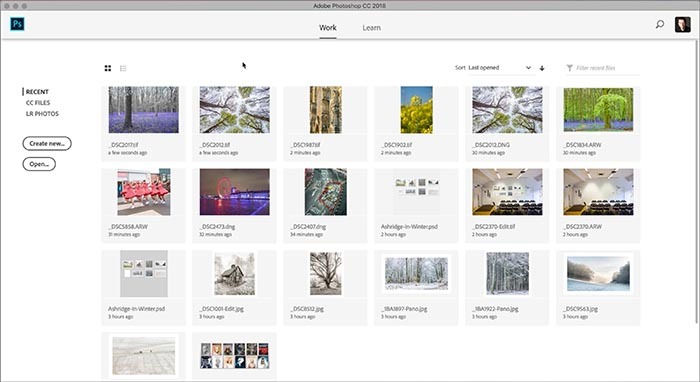 Select Subject can be used to make quick selections based on what Photoshop identifies to be the most important subject content. 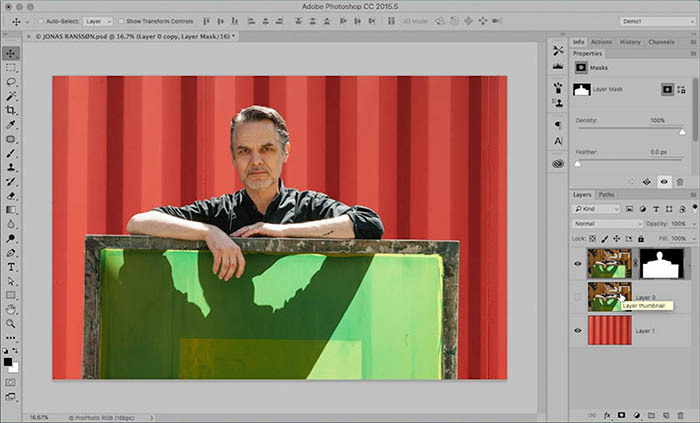 This video shows how to access and use this feature, where it works well, where it does not and how it can be a useful starting point for more advanced masking. 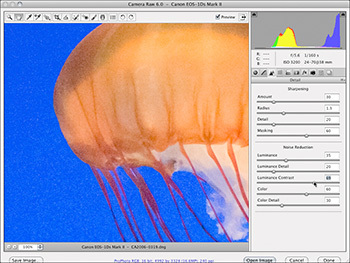 The Camera Raw Basic panel Auto button now utilizes a new method to calculate the optimum tone, as well as Vibrance and Saturation slider settings. This has been based on extensive research using artificial intelligence and machine learning. This video shows examples of the new, improved Auto and how to get the most from this new update. 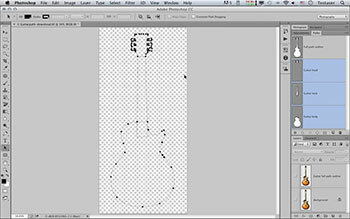 This video shows how pen paths are now displayed more clearly in Photoshop compared to previous versions. Also featured is the new Curvature pen tool and an examples of where it might be useful to work with when tracing an outline. 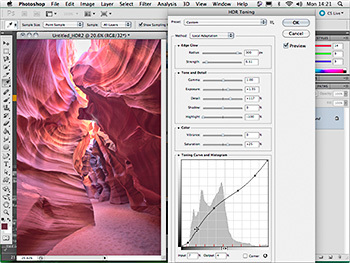 How to use the new Range Mask feature in Camera Raw to limit the extent of a localized adjustment using either color samples, or a defined luminance range setting. 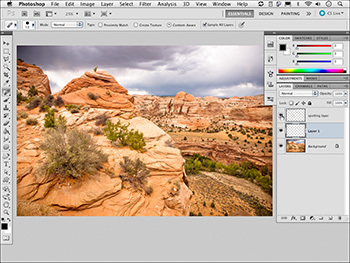 How to use the Start Screen in Photoshop CC 2018 to navigate recent images, open photos from Lightroom CC or create a new document using either the new or legacy interface. 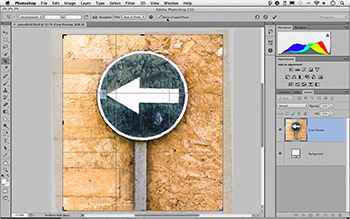 How to use the new Select and Mask Workspace controls in Photoshop CC to create a mask selection and refine the mask edges. The Liquify filter now features Face Liquify controls to allow easy manipulation of facial features. Camera Raw Upright adjustments have been moved to a Transform panel that now includes the ability to apply Guided Upright adjustments for precise perspective control where regular Upright adjustments fail. 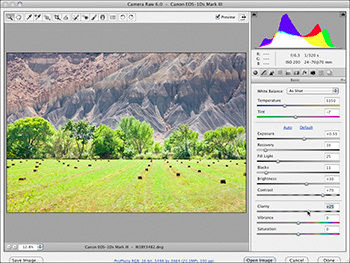 Camera Raw 9.1 has been released at the same time as Photoshop CC 2015. 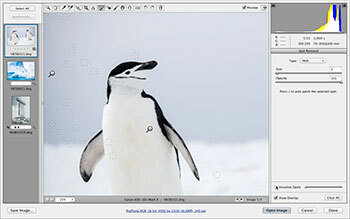 This update includes two important new features, which include a Dehaze slider in the Effects panel plus the ability to apply localized Blacks and Whites adjustments when using the Graduated filter, Radial filter or Adjustment brush. 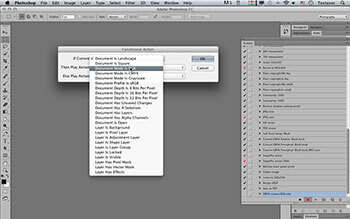 The Filter > Render menu in Photoshop features a Tree filter. 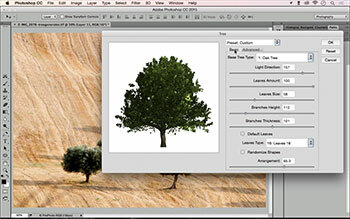 This movie tutorial shows how you can use this to render different kinds of trees that can be added to a Photoshop image or illustration. 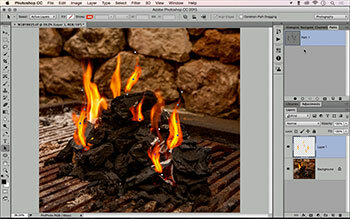 The Filter > Render menu in Photoshop also features a Flame filter. 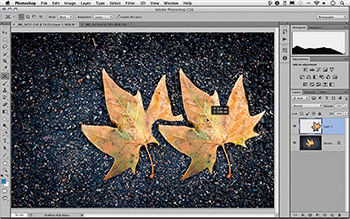 Like the Tree filter this can be used to add photo-realistic flames to a photograph or illustration based on pre-drawn path outlines. New to the Blur Gallery filters is an option to add noise. 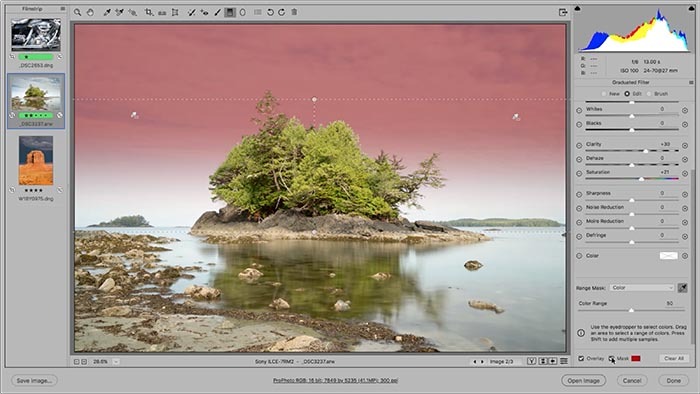 This movie tutorial shows how you can use the new Noise panel controls to help blend blurred areas when processing noisy/grainy images. 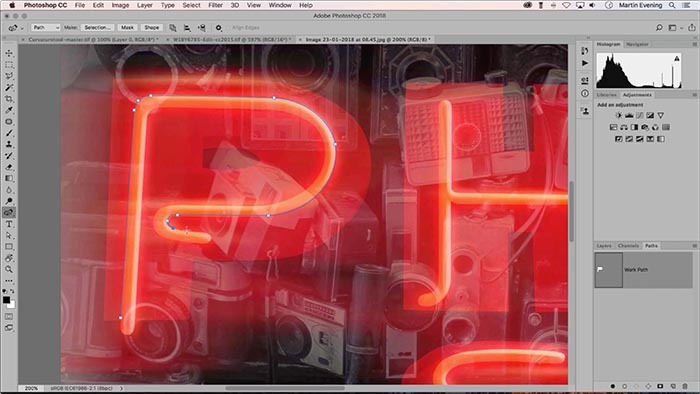 Photoshop CC 2015 sees the reappearance of a long-lost feature: the ability to apply transformations when copying (and now moving) objects to create a patch-type blend. This movie shows how you can move an object within a scene and transform it's shape at the same time. In this movie I show how you can modify a graduated or radial filter adjustment in Camera Raw by switching to Brush Edit mode and thereby independently edit a mask to refine such localized adjustments. 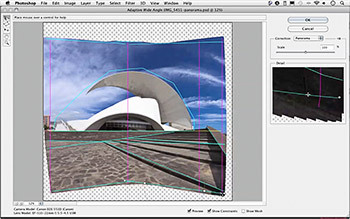 Camera Raw 9.0 allows you to select multiple images and stitch them together to create a single DNG master panorama image. In this movie tutorial I show how to do this and explain the different projection options that are available to you. 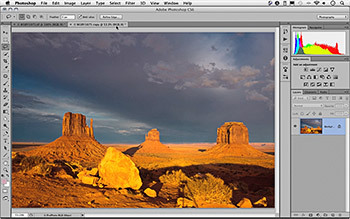 Camera Raw 9.0 allows you to select bracketed exposure images and merge them together to create a single DNG HDR image. In this movie I show how this is done and highlight some of the ways you can achieve optimum results. 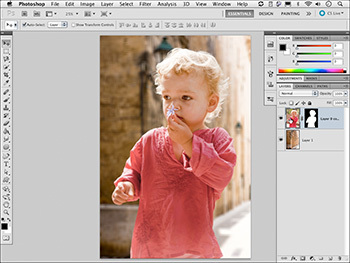 Camera Raw adjustments can now be applied as a filter, within Photoshop. 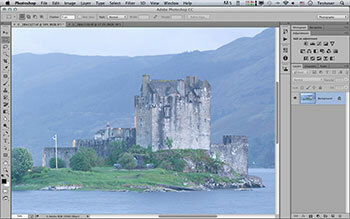 This means it is now possible to access the power of Camera Raw while working on an image open in Photoshop. This movie shows how using Camera Raw as a filter helped create the cover image used for the book. 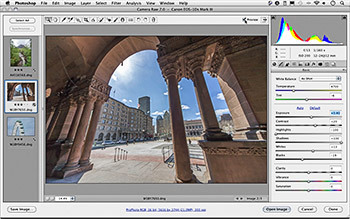 The radial filter is new to Camera Raw 8 and compliments the graduated filter, providing the same controls but applicable as a radial, localized adjustment. This movie also shows how you can use this to compensate for loss of sharpness at the corners of the frame. 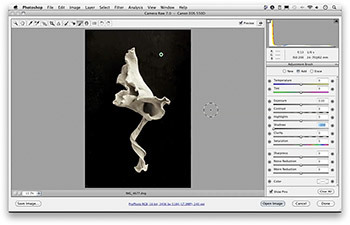 Upright adjustments in Camera Raw allow you to apply automated perspective corrections. 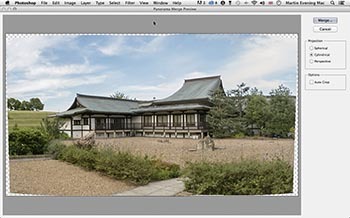 This movie shows how to use an upright adjustment in combination with the manual transform controls to optimize the perspective appearance of an architectural photograph. 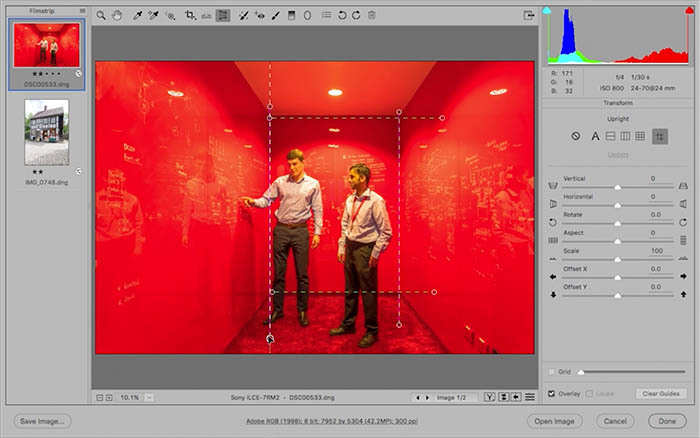 This movie provides an overview of the latest changes to the spot removal tool in Camera Raw 8, as well as how to make use of the new visulaize spots feature. Following on from the previous movie, here I describe in more detail how to work with the spot removal tool when creating brush spots, and how to carry out Photoshop-style retouching in Camera Raw directly. 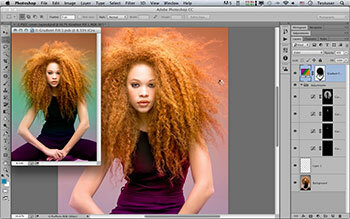 Ever since Adobe Max 2011, the Shake Reduction filter has been a much anticipated feature for Photoshop. 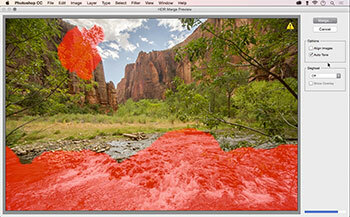 Here I show how it could be used to help improve the sharpness of a photograph that suffers from camera shake. The second part demonstrates the new, improved Smart Sharpen filter. 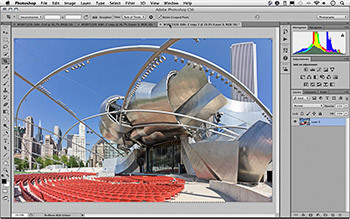 Photoshop CS6.1 or later allows you to edit HDR master images that are in 32-bits per channel and saved using the TIFF format. 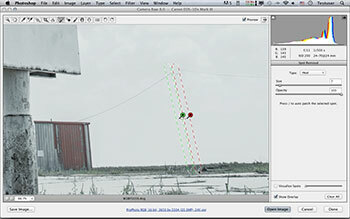 This movie shows how the Basic panel controls can be used to most effectively tone map such images within Camera Raw. 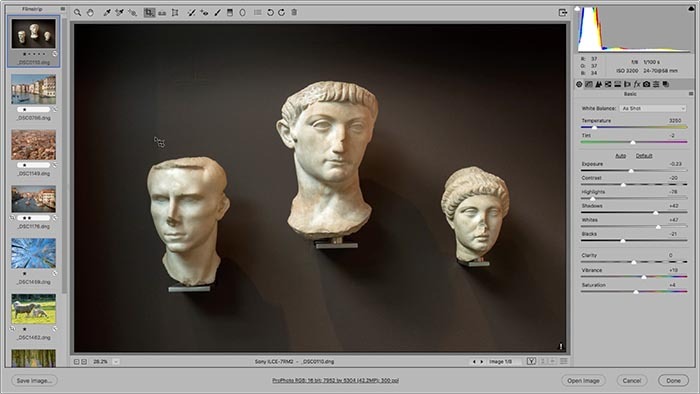 If using Camera Raw 7.1 or later, you have the ability to carry out axial chromative aberration corrections to fix purple or green fringing that can sometimes occur in images. The movie also shows how to use the Defringe slider in the adjustment brush section to apply localized defringe adjustments. 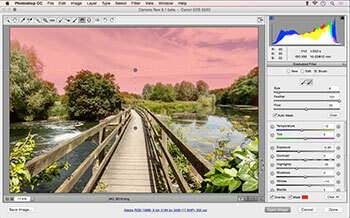 Photoshop CS6 now allows you to customize the user interface with a choice of four brightness settings. 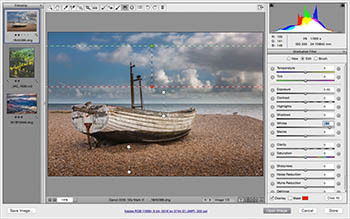 In this movie I point out some of the pitfalls of editing photographs in a dark interface environment and how to customize the new settings to achieve an ideal photo-editing friendly interface. 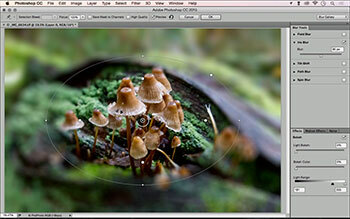 One of my favorite new features in Photoshop CS6 is the Adaptive Wide Angle filter. 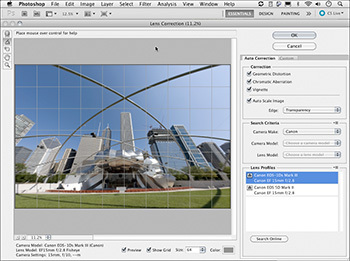 This filter allows you to apply selective perspective corrections to wide angle photographs. In this movie I show how to use the filter to correct a fisheye lens photograph. 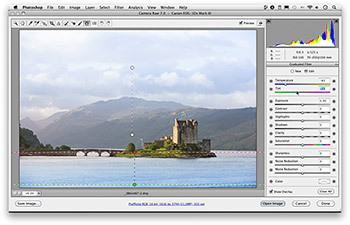 The Blur Tools series of filters make use of what is known as 'Monaco accelerated' graphics processing in Photoshop and provide all manner of creative possibilities when editing photographs. In this movie I show how to use the Field blur, Iris blur and Tilt-Shift blur effects. 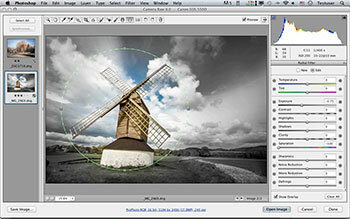 Camera Raw 7 now offers a new Process 2012 process version for editing raw and non-raw images. 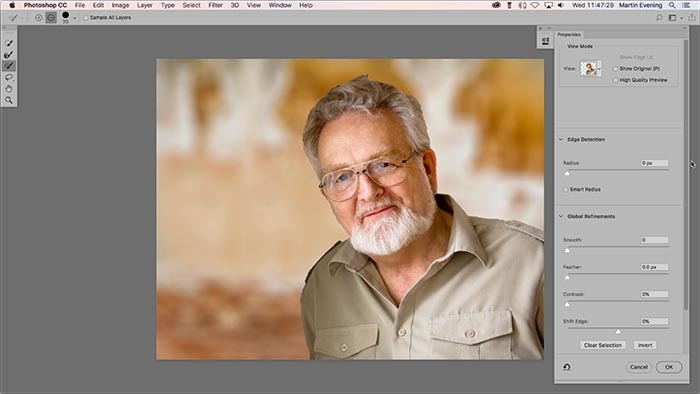 Here, I show how to make best use of the new Basic panel slider controls to edit your images. In this second of three movies about localaized adjustments using Proces 2012 I show how you can apply localized noise reduction as well as how to remove moire artifacts. In this third of three movies about localaized adjustments using Proces 2012, I show how you can apply local white balance adjustments using the graduated filter tool. 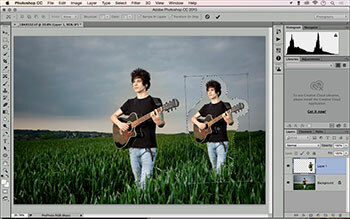 The perspective crop tool is now a separate tool in Photoshop CS6 and can be used to crop and correct the perspective in an image. 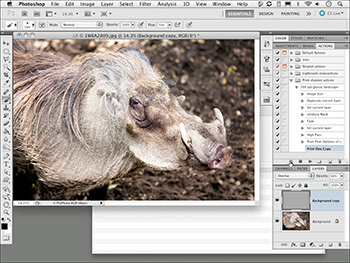 The content-aware fill feature was new to Photoshop CS5. This has now been added as a patch tool fill mode and also provides you with a choice of five adapatation methods. In this movie I demonstrate how this can now extend the range of possibilities when working with the patch tool. 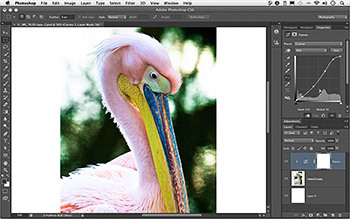 The content-aware feature has also evolved, adding a new content-aware move tool to Photoshop CS6. In this movie I show how you can use this new tool in the 'Move' and 'Extend' modes. 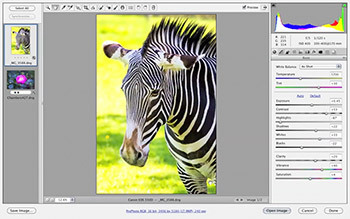 As a consequence to the changes brought about using Process Version 2010, the Camera Raw sharpening is now better and significant improvements have been made to the luminance and color noise reduction. 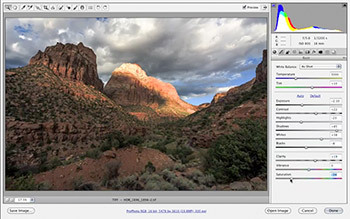 If you mainly shoot in raw mode, Camera Raw offers all the controls you really need to carry out your main image adjustments. This movie shows a few examples of a basic Camera Raw workflow and explains why you don't need to rely so much on traditional Photoshop techniques for the early-stage image processing. 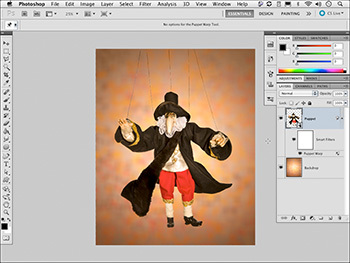 The Puppet Warp feature is new to Photoshop CS5 and allows you to apply direct on-image warp adjustments. 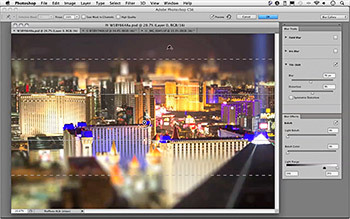 The Lens Corrections filter has been updated in Photoshop CS5 to now enable auto lens corrections, based on a library of lens profiles for most commonly-used lenses. 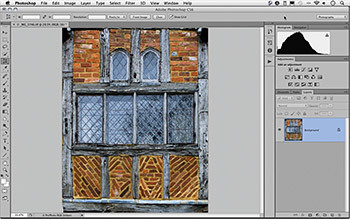 Also new to Photoshop CS5 are the content-aware spot healing brush and content-aware filling features. 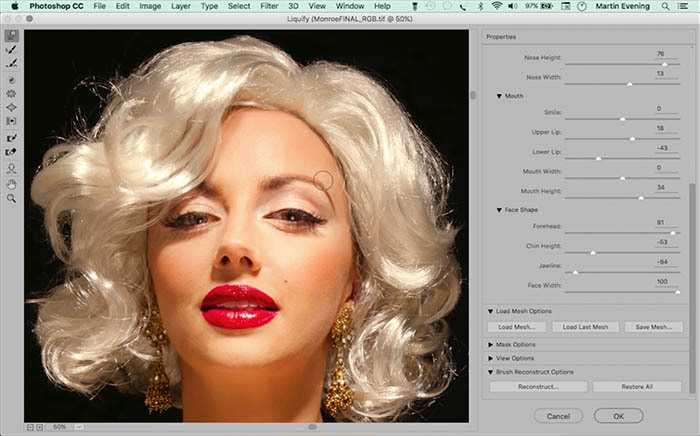 This movie shows how to work with these new tools when retouching your photographs. Merge to HDR Pro now provides extended capabilities for creating low dynamic range renderings from high dynamic range, 32-bit master images. This movie tutorial shows a complete Merge to HDR Pro workflow from start to finish. 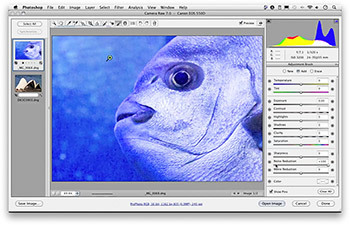 This movie shows a typical print output workflow that includes print sharpening, recording the sharpening as an action as well as working with the new Photoshop print dialog. 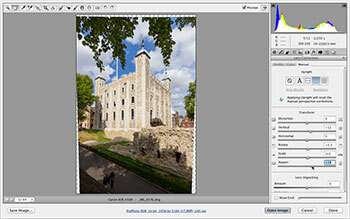 This has been updated in CS5 to make the print experience more reliable and recordable as an action.